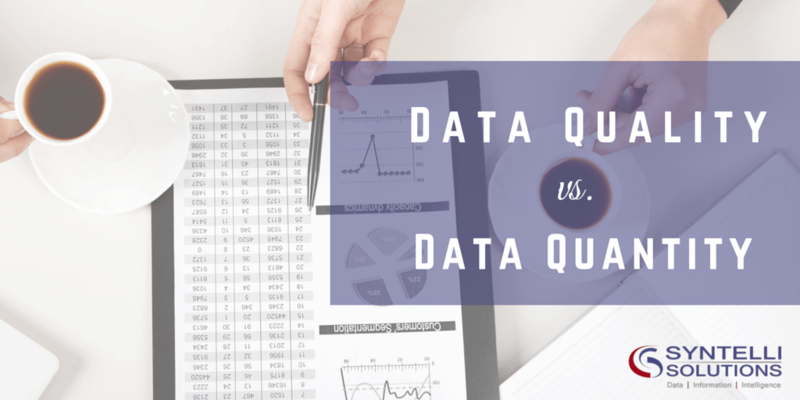 Data Quality vs Data Quantity - Syntelli Solutions Inc.
Data quantity is intrinsic to business. As business grows, data quantity is bound to grow. Growth in data is intrinsic to business growth. Data quality, however is extrinsic, it has no concern for growth of business, or systems you put in place. Data quality will not remain stable, it will actually become worse as you add more systems, more master data and more users. Data quantity can be measured, and quantified in so that everybody understands. We understan what is 8 Terabyte worth of mortgage data, or data growth of 2 Tb per month, we can fathom the kind of beast. However, there is no such measure for Data quality. We cannot say that 200 Tb out of 2 Pb of data is dirty. We cannot say that 2% of all the data that we have is bad. Data quality is like that – it is all over in your data, it is not like a bad apple that you can pick out and throw. Fixing Data Quality later is expensive! Data quality standards should be embedded within every process when the process is defined. As Al identified, Deming spent his life teaching that ‘build quality into the product. Deming could teach a thing or two about data quality, but that is for another post! Want to learn more about the important of data quality and how Syntelli can help? 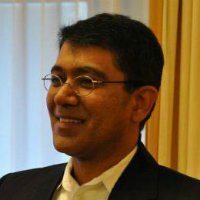 About Rishi: Rishi Bhatnagar is President of Syntelli Solutions Inc. Rishi started Syntelli Solutions in 2005 after a strong experience in consulting with Ernst & Young. In his previous lives, he has worked in banking, credit risk and engineering roles. He likes to advise companies on analytics, predictive modeling and finance processes and systems around budgeting and strategic planning.